Shraddha is a story about a girl named Shraddha who lives in a small town Ujjain. Shraddha means devotion, and as the name of the show and the girl suggests it's about the devotion of a girl to her parents; devotion of a girl towards ... Read more..
ROBlicious. 0 743 21 December 2009 at 8:29pm, by ROBlicious. 'Shraddha' pulled off air abruptly! 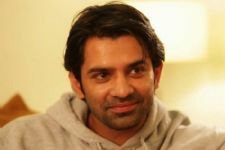 5 reasons why we feel Barun Sobti is Indian Television's King Of Romance! #HappyBdayBarunSobti: A sneak peek into the Journey of a Star! Raakesh Paswan to develop BAG Films' show on Imagine..
Neha Janpandit credits her role in Tere Liye for weight loss.. Writer Raakesh Paswan overcomes his ban, turns Producer..
Shraddha TV Show forum is a very active community of Indian television viewers worldwide discussing Star Plus's Shraddha TV Show. Our forum currently has over 139 active discussion topics about the show. And you will also find all the latest Shraddha videos, news, cast, synopsis, photo gallery, and much more only on India-Forums.com.